Le'Veon Bell wanted what he deserved. Looks like he didn't get it. 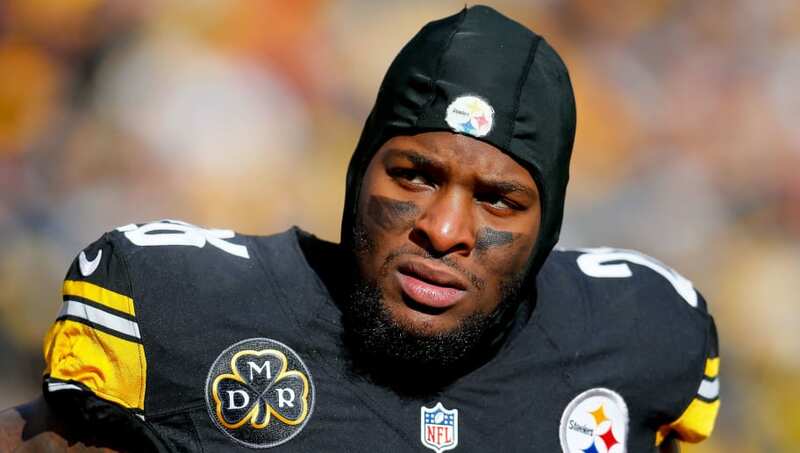 After playing on a franchise tag in 2017 with the Steelers, Bell turned down a long-term offer from the team before choosing to sit out a full year and test the free agent market in 2019. It didn't go as planned and it looks like it didn't pay off finically either. In Steelers proposal to Bell at the end of 19 season he would’ve pocketed 33M. In deal he got he will be at 14.5. Behind by almost $20M. This may be the worst contract decision we have ever seen a player make, and it should’ve been obvious to him and his agent. ​​After turning down a five-year, $70 million offer from the Steelers in 2018 and then missing out on $14.5 million in 2018 franchise-tag salary, Bell signed a four-year, $52.5 million deal with the New York Jets on Wednesday. That's less money per year than Devin Funchess will make in 2019 ($13 million) under his new deal with the Colts. In the Steelers offer, Bell would have been paid $33 million over the first two seasons of his contract. As Joe Banner pointed out, in his new contract with the Jets, he'll have been paid $14.5 million by the end of the 2019 season. If he took the 2017 offer he'd have $30M right now instead he has $12.12M. ​​While many fans on Twitter defended Bell's actions, saying he wasn't guaranteed enough money by the Steelers, his new deal with the Jets has $35 million guaranteed while the Steelers offer reportedly had $33 million in guarantees. So he sat out a season and missed out on $14.5 million and only has an extra $2 million in guarantees to show for it. Now we know the numbers. Bell is not making $26M over two years. He’s making $26M over three years (2018-2020). Financially speaking, this is arguably one of the biggest mistakes we've seen out of a player (and his agent). While he could have suffered a catastrophic injury and lost the rest of his career last season, Bell's market value in free agency shows the Steelers offered a fair contract to him last year. ​​Maybe it really isn't about money for Bell. If he just wanted to stick it to the man (the Steelers), he did a marvelous job last season. Their locker room collapsed, they missed the playoffs, and many fans turned on them. But at least they saved millions in the process.